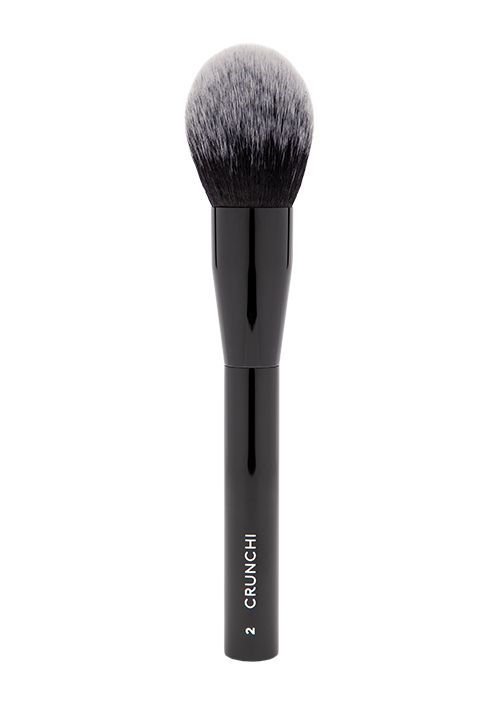 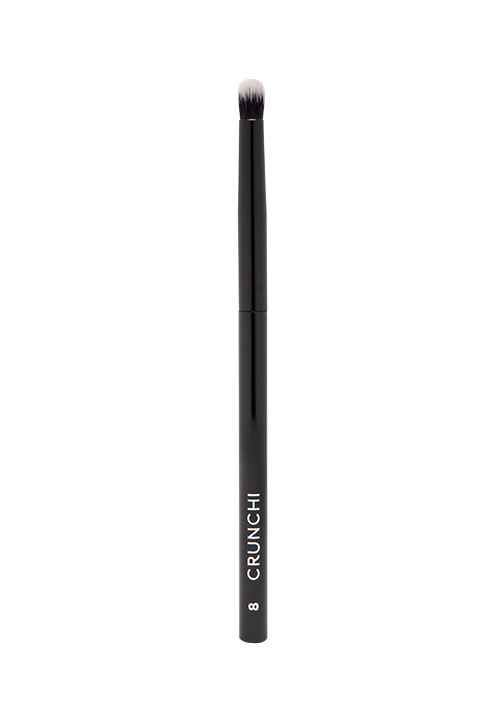 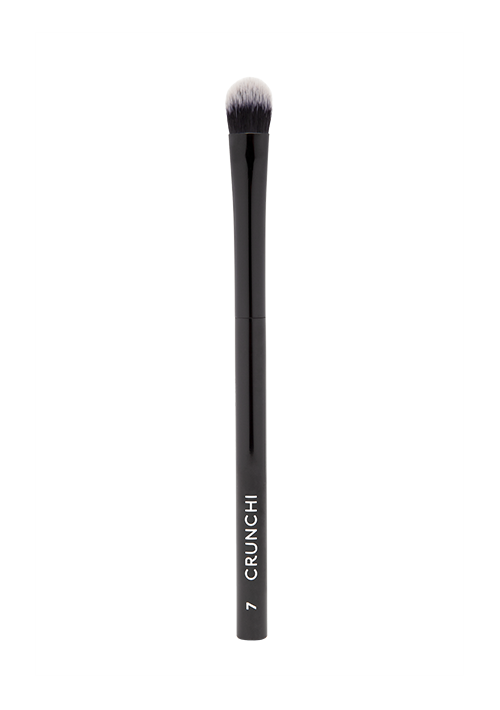 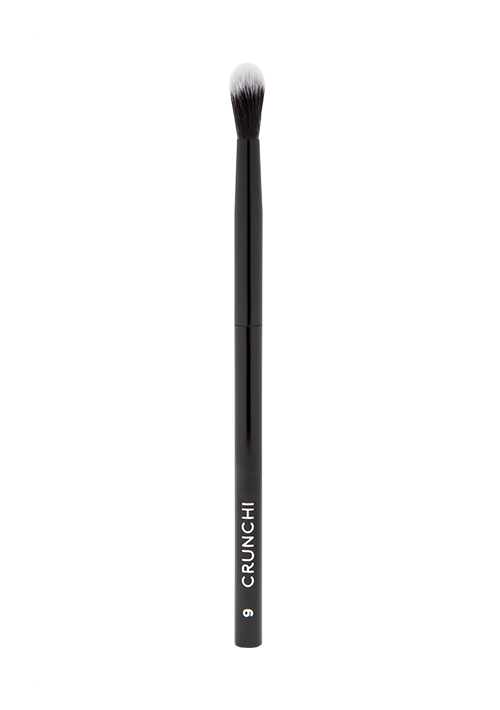 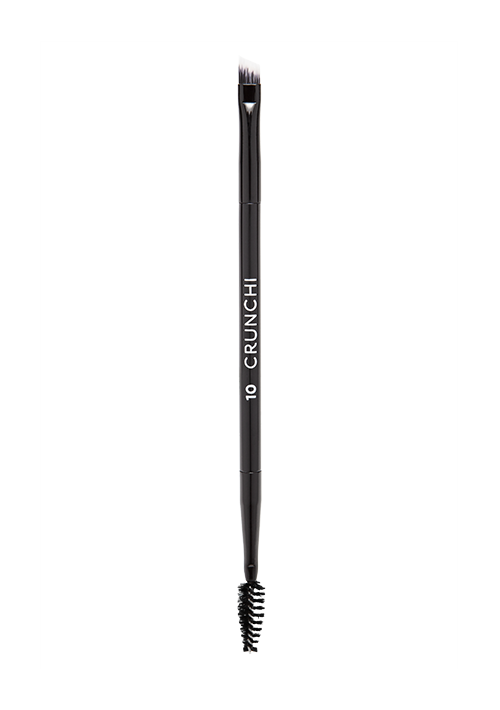 Just when you thought Crunchi's award-winning makeup brushes could not get any better, we raised the bar for brush luxury, versatility, and performance. 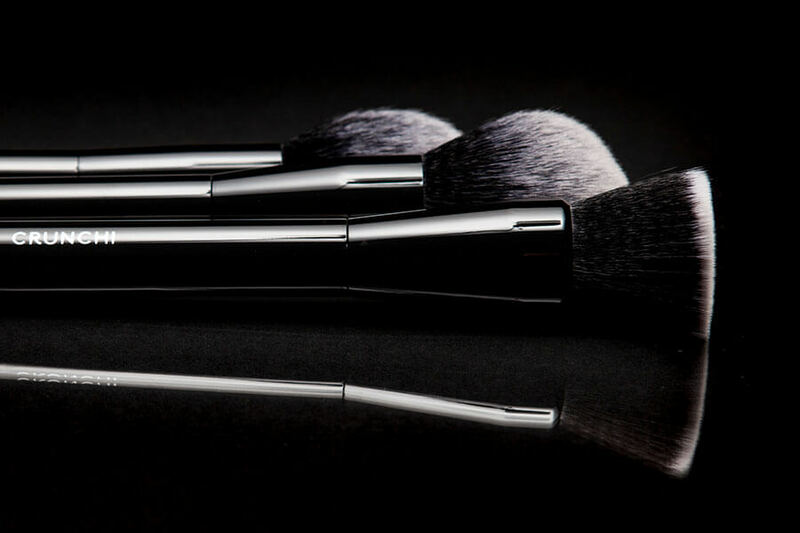 "Quality brushes are everything! 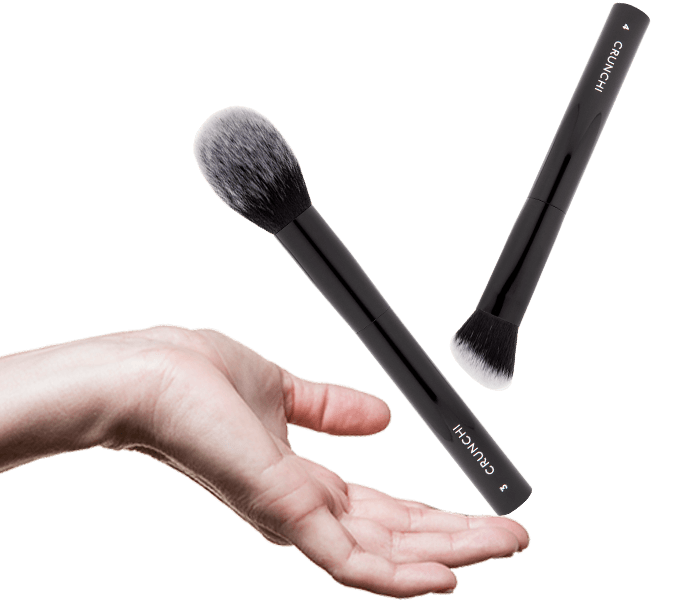 I am not a pro, but you would not know it when I use these brushes. 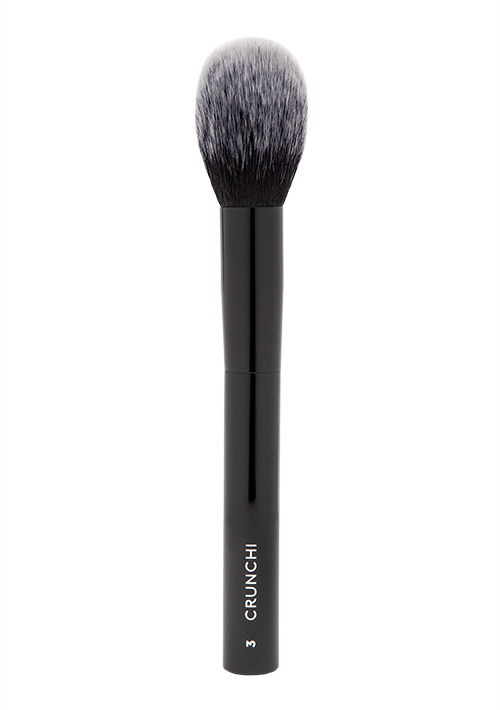 I had no idea how much of a difference a quality brush can make." 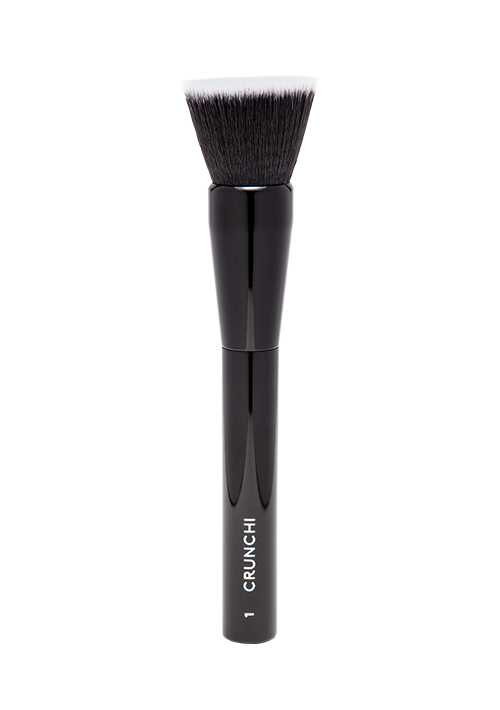 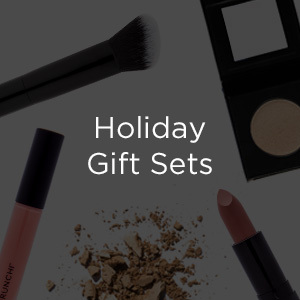 Sleek metal handles provide a controlled grip for perfect makeup application. 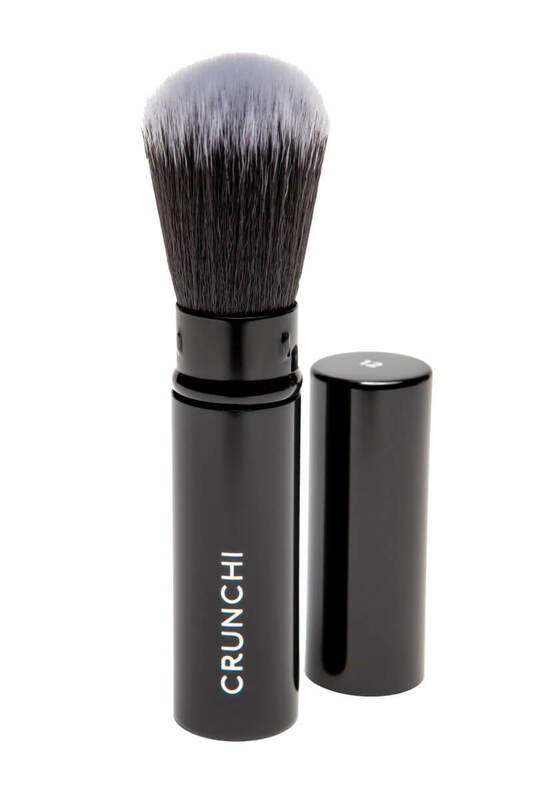 This luxury brush collection is not only chic, but versatile enough to apply every Crunchi product for any occasion. 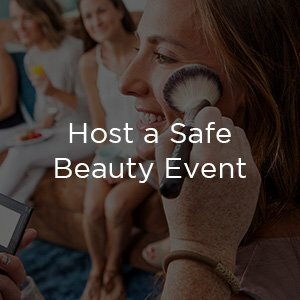 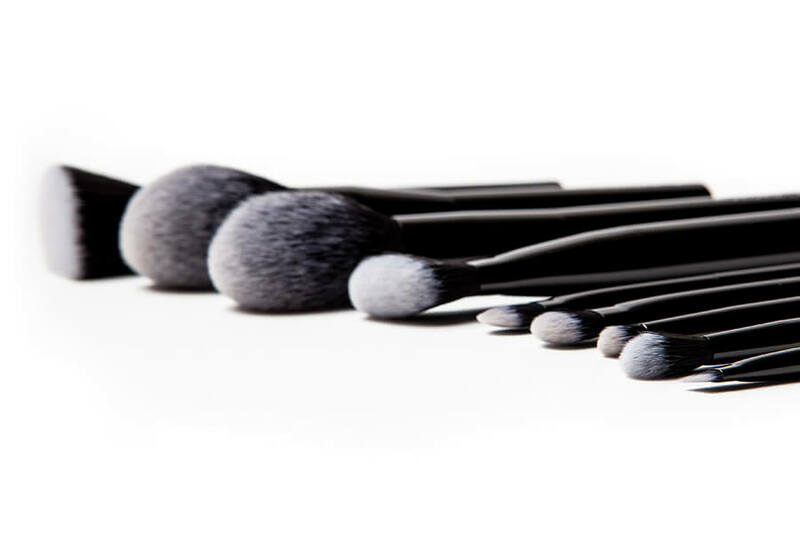 These soft, synthetic bristles are not as porous as animal hair and therefore absorb less product during application, reducing waste and resulting in longer lasting cosmetics. 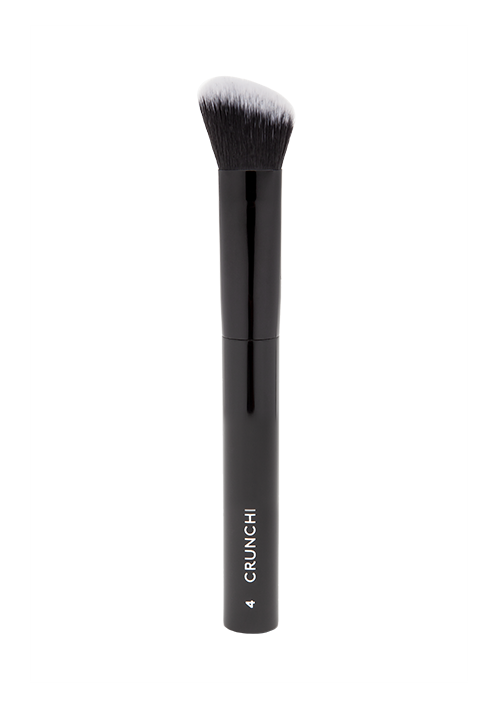 Formulated without the use of any animal derived ingredients or byproducts. 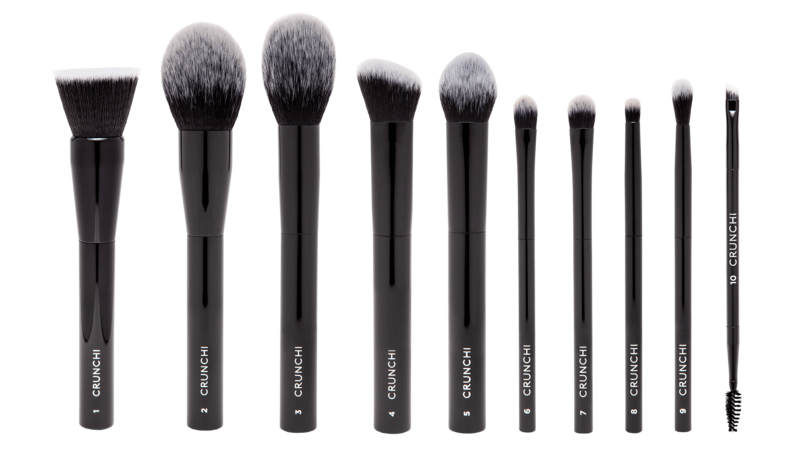 Products were not tested on animals and no animals were harmed at any point during the production or development of these brushes. 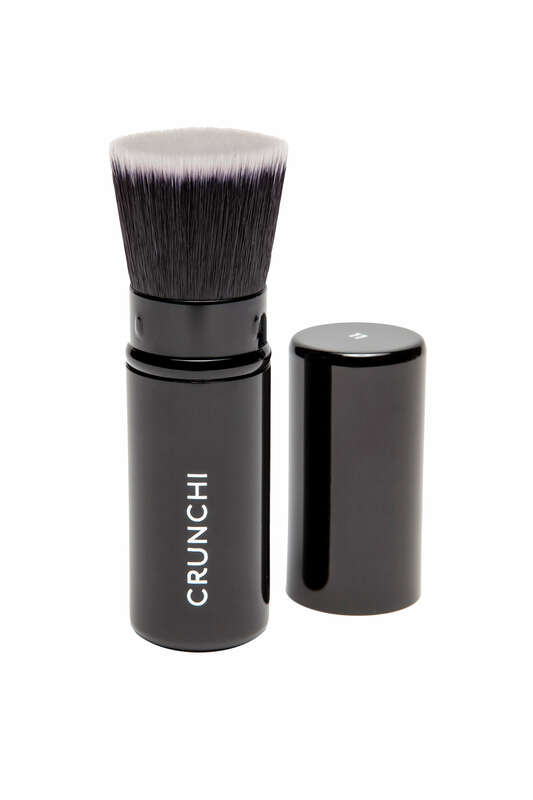 Minimal brush packaging to reduce consumption and waste. Synthetic Taklon bristles are perfect for those who suffer from allergies to animal hair. 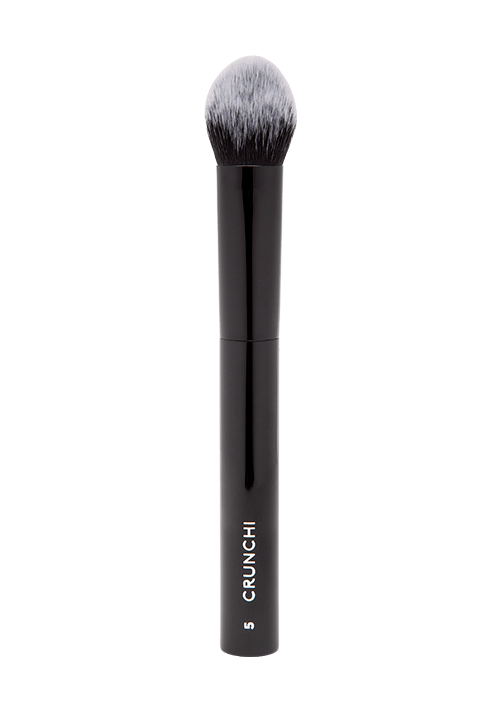 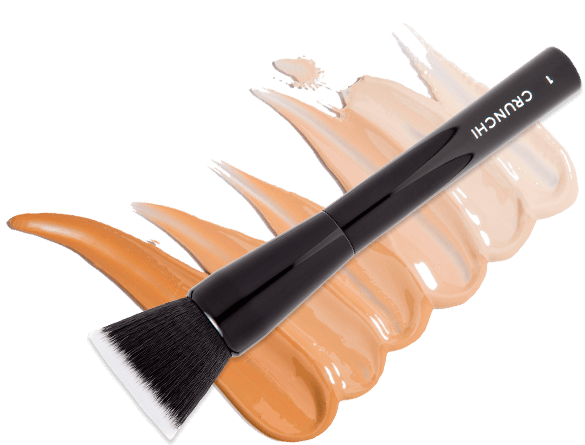 Custom designed specifically for flawless application of Crunchi's liquid, cream, and powder products. 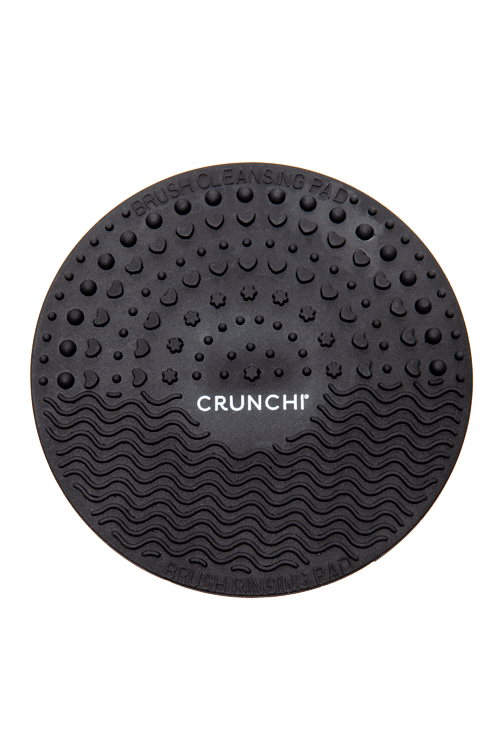 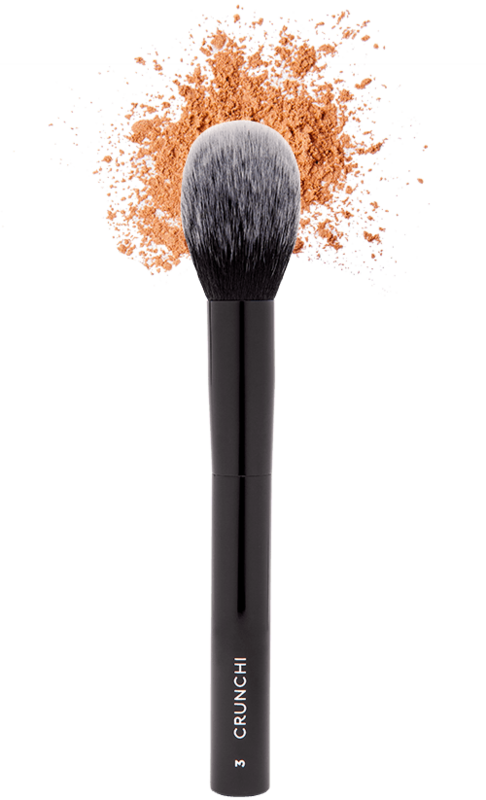 Keep your makeup brushes performing like new with our Makeup Brush Cleansing Pad!